In 2016, revenue of the 14,000 nursery and garden stores in the U.S. was valued at around $41 billion. 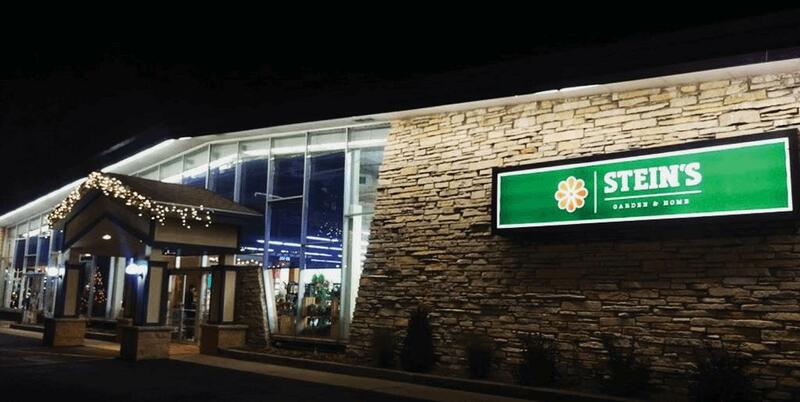 Competition from home centers, hardware stores, mass merchandisers is forcing individually owned retail sites to become more efficient and flexible. This is exactly what Stein’s Garden & Home has successfully achieved with a new point-of- sale system. Stein’s is a 16-store garden center chain based in north, central, and southeast Wisconsin. Boasting an overall volume of about $60 million, Stein’s stocks annuals, perennials, and barbeque equipment, meaning half of the business is seasonal, peaking in the summer, fall, and holiday seasons. Additionally, Celerant modified the system based on Stein’s unique needs. For coupons, the retailer wanted to offer more than one coupon at a time, but that required a modification. Celerant worked with Stein’s to write code that allows unique promotions to be offered. Stein’s fills online orders from a warehouse that currently stocks a limited product line of patio and barbeque items that ship primarily to local destinations. However, Stein’s newly launched Christmas tree line can be shipped anywhere in the United States. The Celerant retail system helps Stein’s determine LTL freight costs, which Young appreciates. Still in its infancy stage, the online sales currently accounts for less than 1% of Stein’s business. “The next phase will allow consumers to buy online and pick up their orders in the store,” he says. 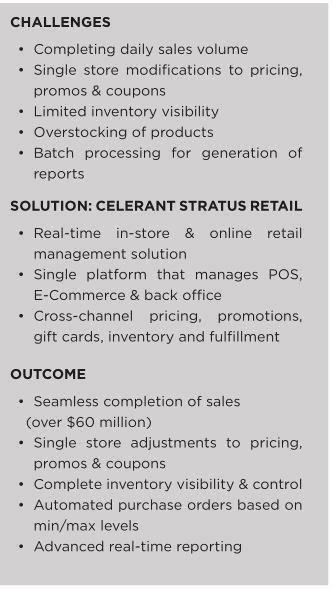 Stratus Retail offers Data warehousing reporting as part of its business intelligent tools. “With the amount of volume that we do, and the speed and timeframe that we do it, Data warehousing allows us to create reports that allow us to monitor sales activity and inventory levels, and it allows us to make real- time informed decisions about replenishment and pricing on the spot instead of relying on batch processing,” says Young. Young describes Stratus Retail as “broad- based,” and that there are functions he isn’t taking advantage of now, but plans to use down the road, such an automated warehouse management system. Additionally, Young explains that because the POS operates in real time, a store now has the ability to check customer transactions in that store immediately after the transaction is made. And, if a customer returns that same product on the same day at a different store, the new store will create a record of it.